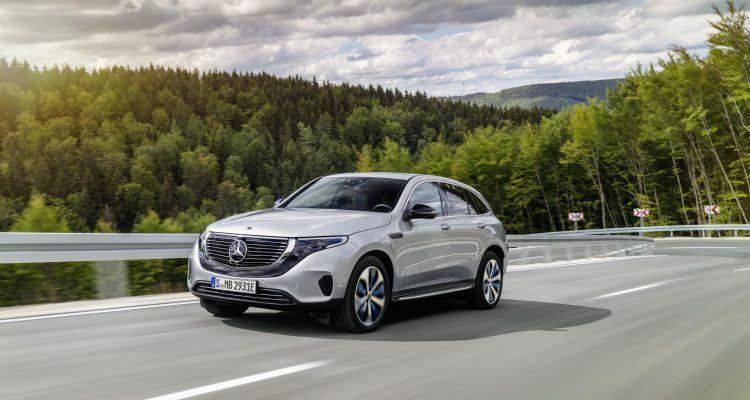 The 2020 Mercedes-Benz EQC is billed as progressive and dynamic, but is it really? The EQC is the first in the “EQ” product line. Mercedes-Benz says it represents a new era of mobility. Is this really an innovative, groundbreaking electric vehicle or just automotive rhetoric? Funny thing is, Mercedes-Benz can probably do what they say they can. You know, here’s an interesting thing: I’m a very slow reader. This is not an advantage for a writer, but there you have it. I’m also bad at spelling, which is why I love Carl Anthony so much (he’s good at it and doesn’t mock me). Now, normally, being a slow reader (with exceedingly high comprehension) is not much of a problem for me. Your average press release from anybody, from a game company up to and including NASA, is around 2,000 words. But the press stuff from Mercedes on this new EQC thing tips the scales at over 14-thousand words. That’s about the length of a friggin’ novella, for Guttenberg’s sake! I tried, really I did. I had a go at reading this thing from start to finish three times before my eyes glazed over. Eventually, there were flashbacks to when I was trying to decipher limited-slip ratio charts decades ago. And it’s not like what Mercedes-Benz has to say is overly complicated and technical, oh no. This is 14-grand worth of marketing gobbledygook and sentence structure right out of Gravity’s Rainbow. 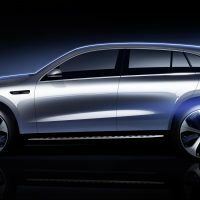 But what it boils down to is the simple, inevitable fact that Mercedes-Benz is getting into the EV thing the way you’d expect them to: Like a Tiger Tank at full throttle. They are as serious about this as Germans are at any other given thing (i.e. very serious), so we all better pay attention. In case you’re interested, EQ stands for “Electric Intelligence,” so we can all get used to hearing those two letters thrown around a lot, and probably for the rest of our lives (if Merc has anything to say about it). 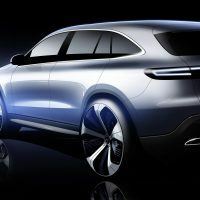 2020 Mercedes-Benz EQC. Photo: MBUSA. The bottom line is the EQC is loaded from stem to stern, top to bottom and side to side, with enough high-tech stuff to make you feel like Helmsman Sulu on the bridge of the Enterprise. I will not be getting into any of this stuff. It’s all, ironically, about par for the course. There’s nav systems and entertainment functions and HVAC layouts and all of that stuff . . . but you know, that’s not what’s going to separate the EQC from everything else on the road. So who cares? What will separate it is the electric drivetrain and all its attendant stuff, so let’s look at that. 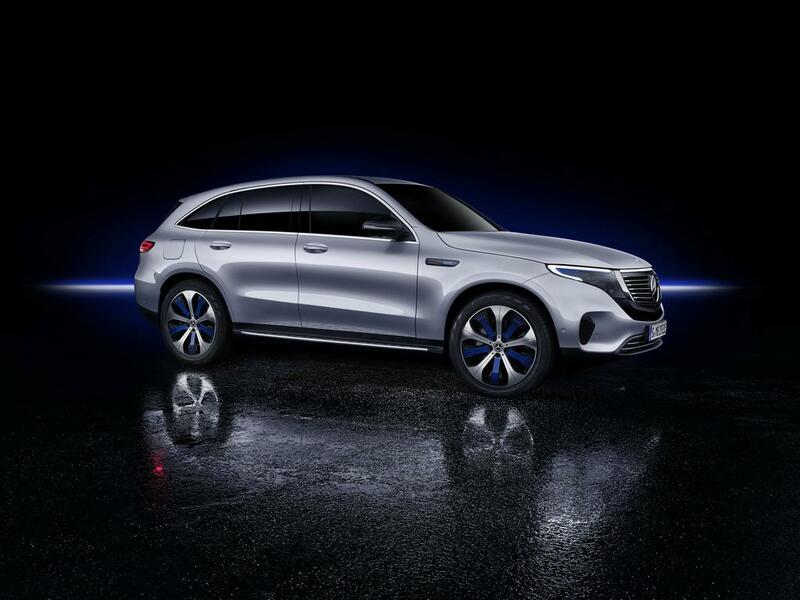 Mercedes says the EQC is the “Mercedes-Benz among electric vehicles” and yeah, that’s about as ominous and threatening as you think it sounds on first reading. 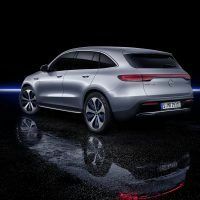 In mid-2019, the EQC will be the first Mercedes-Benz vehicle launched under the EQ brand. Blah-blah seamless, clear design, buzz-buzz avant-garde electric look while representing the fluff-fluff-fluff design idiom of Progressive Luxury. Got it. What really counts is that this will be a Mercedes when it comes to quality, safety, and comfort. The entire package will be motivated down the Straße thanks to two electric motors at the front and rear axles, with a combined output of 402 horsepower and 564 lb-ft. of torque. Range is around 200 miles. The final version will go on sale in the United States in 2020. Get ready. The powerpacks are isolated by rubber mounts at two points and, along with other isolation measures, the EQC is extremely quiet. The 80 kWh lithium-ion battery supports the EQC driver with five driving programs through a Dynamic Select system: Comfort, Eco, Max Range, Sport and Individual. In the economical-oriented modes, the haptic accelerator pedal prompts you to conserve power. The driver can influence energy recuperation levels via paddles behind the steering wheel. The Eco Assist system gives you comprehensive support by prompting you when it is appropriate to lift off the accelerator. For this purpose, navigation data, traffic sign recognition, and information from the intelligent safety assistants (the radar and stereo camera) are linked and processed in a bank of computers just this side of Skynet. Aber was ist mit Aufladen? Well, of course the engineers at Mercedes have worked over the charging system, making it flexible and fast. The EQC comes standard with a water-cooled on-board charger with a capacity of 7.4 kW. This is for fast AC charging at home or at public stations. Home charging is done via the now-established wall-box and is up to three times faster than a domestic power socket. 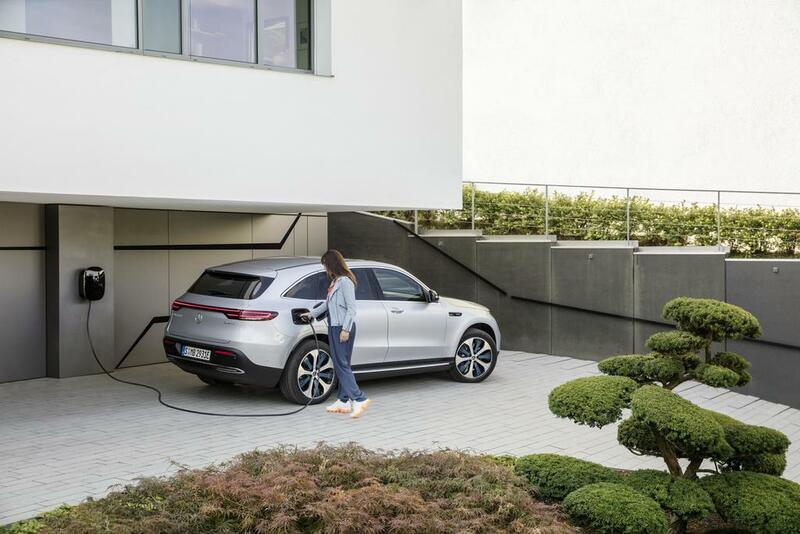 Faster still is DC charging, standard for the Mercedes-Benz EQC. Depending on the status of charge, the EQC takes around 40 minutes, with the battery going from 10 to 80 percent in that time. No word yet on price, but figure this thing will cost only slightly less than your house. Here is a handy chart that shows some technical specs for the 2020 Mercedes-Benz EQC. 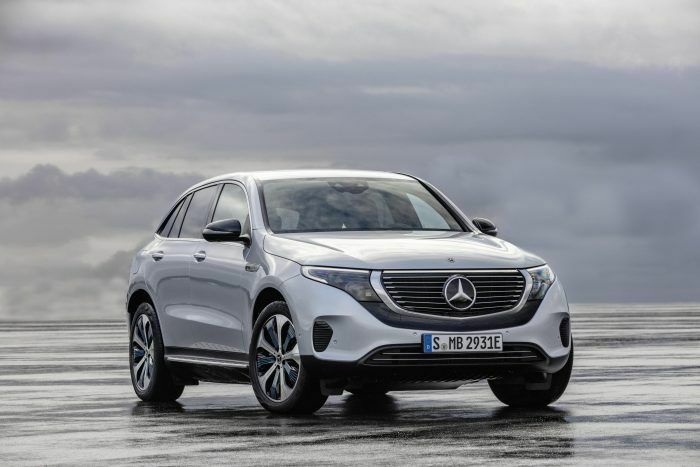 No Comments on "2020 Mercedes-Benz EQC: Hey Elon, Look What We Can Do"